Beef, beef stock, sea salt, citric acid, ginger powder, wasabi powder, celery juice, black pepper, red pepper, garlic, coriander, natural plant extract. There's an immediate tanginess that hits the palate, but soon brings in a noticeable wasabi flavor. A peppery spice lingers in the background while a moderate saltiness and beefy flavor creates the expected meat stick flavor. It takes a while, but I can finally discern the ginger behind the more dominant flavors. 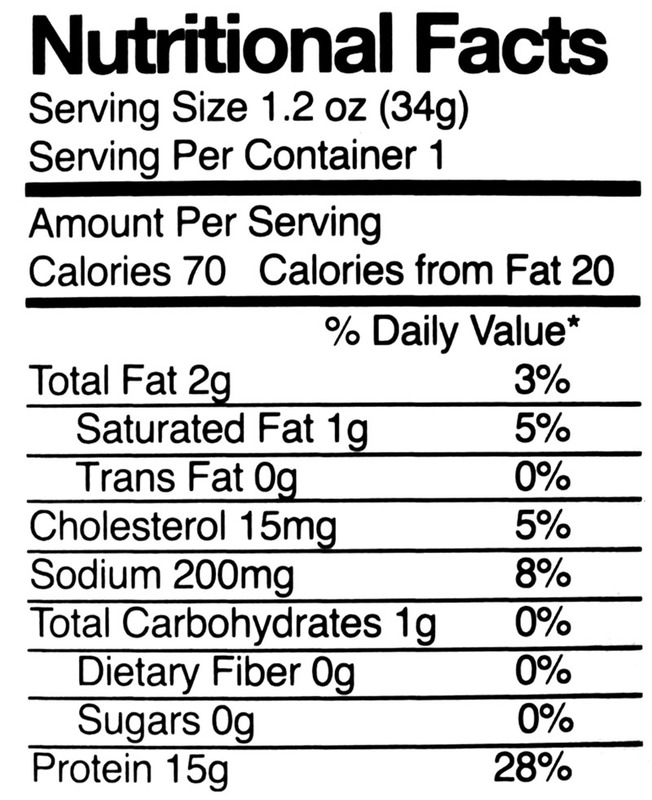 Overall, the ginger & wasabi ingredients make a light impact on the whole flavor profile, just enough to create the expected taste while keeping the focus on the beef bar taste. 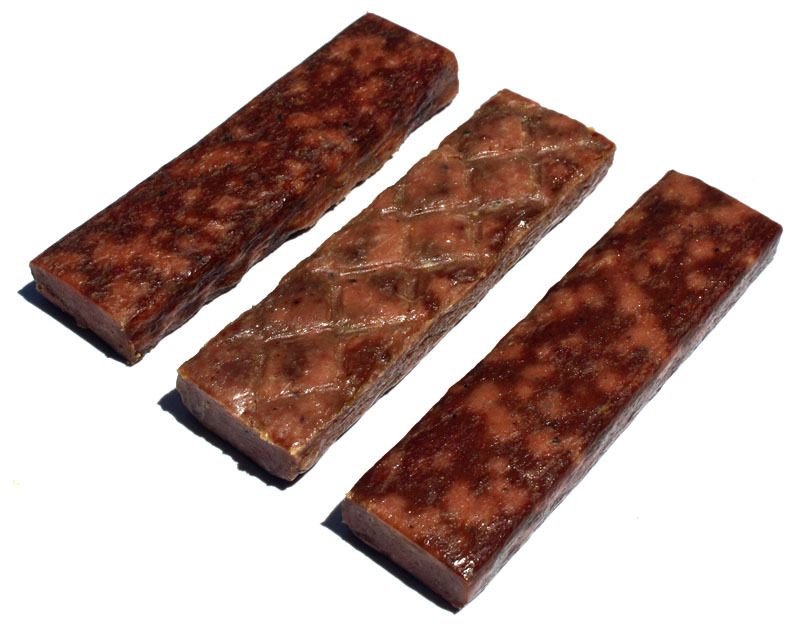 Largely, what is tasted in these beef bars is a beefy flavor created by the natural flavor of beef and the beef stock. The saltiness has a moderate level of intensity, while the red pepper & black pepper creates a noticeable spiciness in the background. There's also a light but noticeable tanginess. There's a strange aftertaste that comes on after a few minutes from eating. 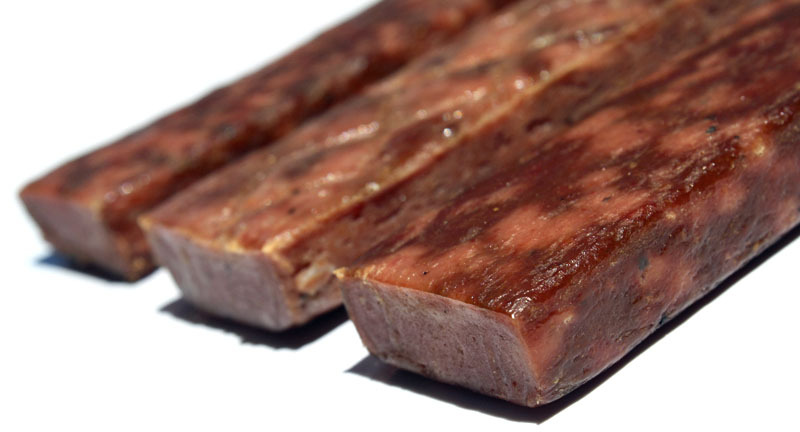 The meat chews easily, but with some chewing feels rather mushy. Otherwise, I didn't find any chewable tissues or crunchy parts. Kratos Beef Bars are sold online at a price of $12.00 for a sample pack of four bars, or a box of 12 bars for $36.00. 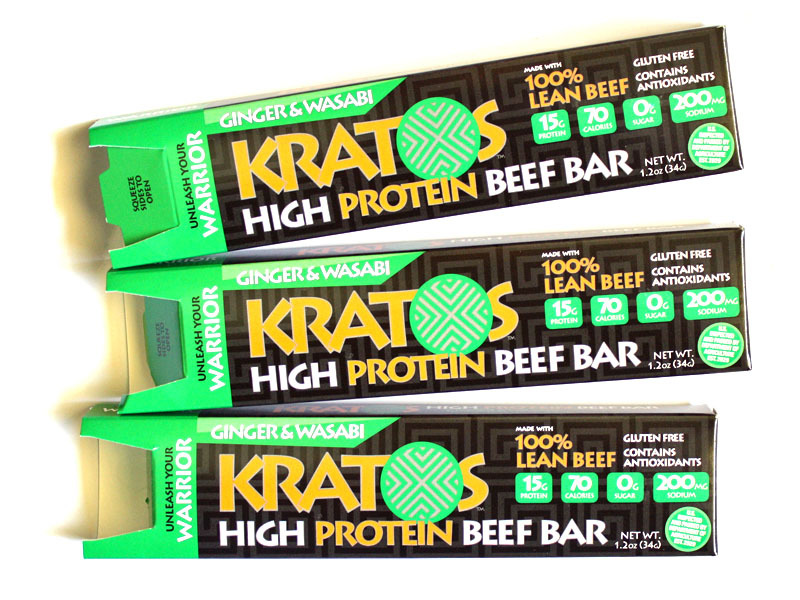 Verdict: These Ginger & Wasabi Beef Bars from Kratos do a good job of delivering on their advertised flavor while staying true to their beef bar taste. They offer a satisfying flavor overall, though with a mushy chewing. As a sport snack, which is what it's marketed as, you get a lot of protein, with no sugar, minimal carbs, no preservatives and gluten-free.